Viknesh Vijayenthiran March 3, 2017 Comment Now! 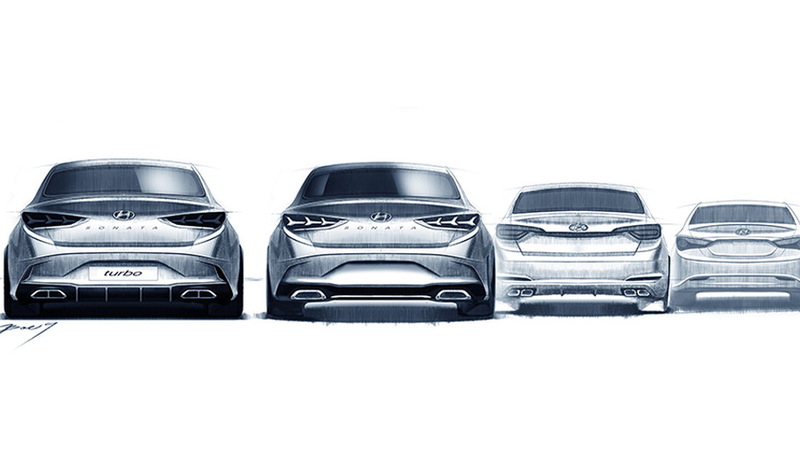 Hyundai is definitely on a roll. Having just launched its Genesis luxury brand, the automaker’s bread and butter models are now in the process of being renewed. We just saw the impressive redesign of the Elantra GT at the 2017 Chicago auto show, and soon Hyundai will introduce a sporty-looking update for its Sonata. 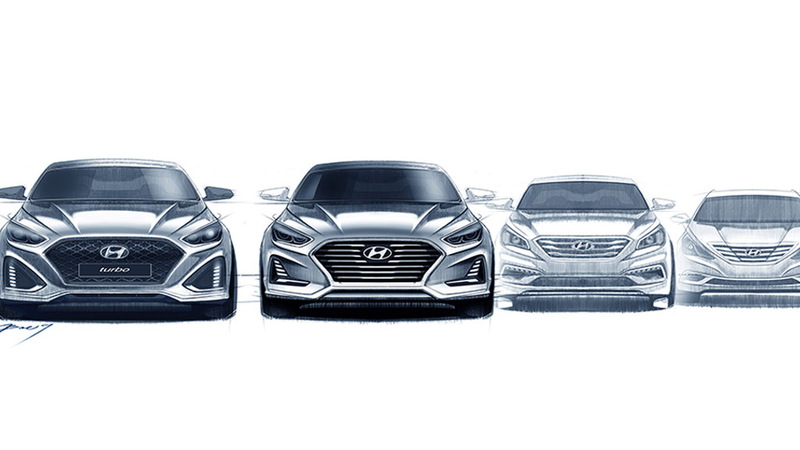 Earlier this week the automaker released some teaser sketches and now the first shot of the car has surfaced by way of a leak on the Hyundai Blog website. The images give us a decent taste of what some of the updates will be. The leaked shot shows the standard Sonata, while both the standard model and a Sonata Turbo feature in the sketches. The current Sonata Turbo is sold in the United States as the Sonata Sport 2.0T (shown below). 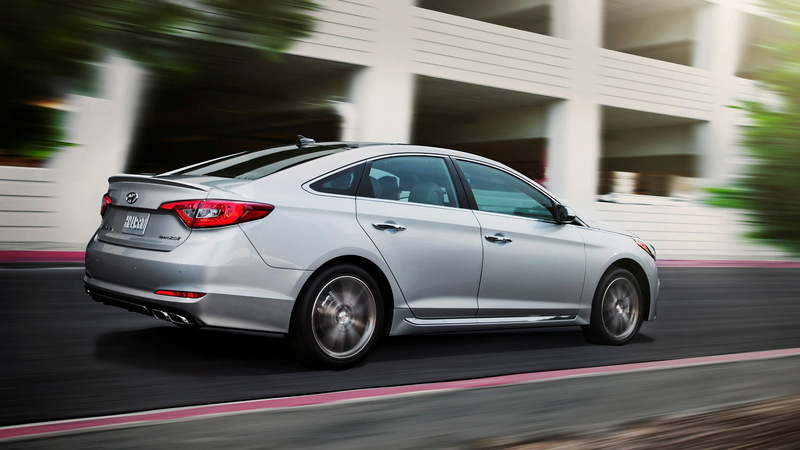 The designers have adopted the handsome look of smaller Elantra and Accent for the updated Sonata, including almost identical treatments for the lights and grille. Expect some tweaks inside for this update, too. It’s not clear what mechanical updates are planned. We’ve heard that Hyundai might replace the current model’s 6-speed automatic with a new 8-speeder. 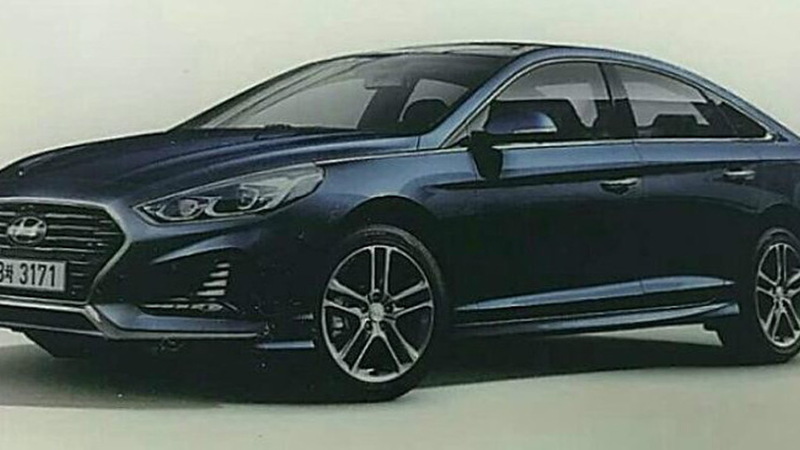 We also know that the Hyundai N performance division is developing a new turbocharged 2.0-liter inline-4, so perhaps a version of this engine could feature in the Sonata Turbo/Sonata Sport 2.0T. The updated Sonata will be unveiled in Korea around the end of the month. Though yet to be confirmed, a local debut at the 2017 New York auto show this April is a strong possibility. It will arrive in showrooms later in the year, as a 2018 model.